There are two international airports on Crete: Heraklion Airport (HER) and Chania Airport (CHQ) with heavy air traffic, especially during the summer months. Chania Airport is located in the north-west of Crete on the 'Akrotiri' peninsula, a few kilometres east of the city of Chania. Heraklion Airport is approx. 150 km further east, also on the north coast of the island near the city of Heraklion. Direct flights to Crete are offered from most major European airports from April to November. The flight duration to Crete from the UK is about 4 hours. Outside the tourist season, Crete can usually be reached by a connecting flight via Athens. Heraklion Airport is regarded as the larger airport and currently receives more flights. Chania Airport, however, was recently modernized and significantly expanded in recent years, so that more direct flights to Chania can be expected in future. Since 2016/2017 Fraport Greece is the official operator of Chania Airport. 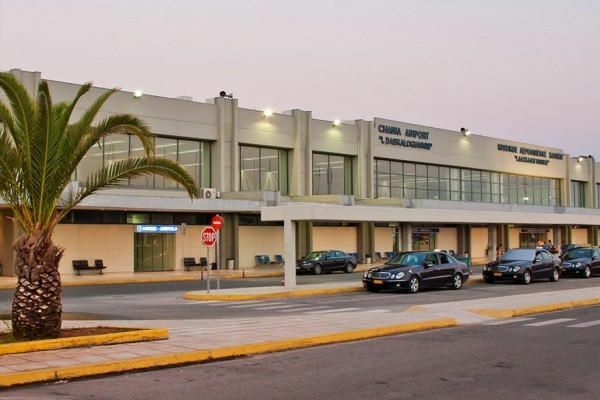 In the next few years, the construction of a new airport at Kastelli, close to Heraklion, is supposed to commence. Once this is completed, the congested airport in Heraklion will be closed. The new airport is intended to be the second biggest airport in Greece after Athens and will be able to handle three to four times as many passengers as Heraklion can currently. The airport is located approx. 3 km east of Heraklion city centre. A large number of charter flights and airlines, including budget airlines, fly into Heraklion especially in the summer season. When you arrive in Heraklion Airport, you have several options to reach your holiday destination on Crete. All major tour operators offer a bus transfer from Heraklion Airport to your hotel if you have booked the holiday package with a transfer accordingly. Please note that your real travel time can take significantly longer, because coaches often stop at many towns and hotel resorts. If you make a reservation directly with one of the Corissia Hotels, you will be offered a cost-effective, private transfer directly from Heraklion Airport to Georgioupolis (without stopovers). As a rule, there is already a driver at the airport on your arrival and you will be driven to the hotel quickly and without any intermediate stops. The journey to Georgioupolis from Heraklion Airport takes approx. 90 minutes. At Heraklion Airport, you also have the option of renting a car and driving to your holiday destination yourself. 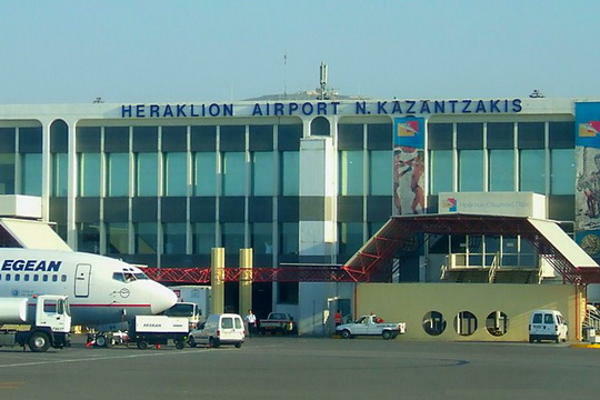 Heraklion Airport is located directly on the main road in Crete. It is usually absolutely straightforward to drive to every destination on the island with a rental car, even if you have never been to Crete before. If you are also planning on exploring Crete during your holiday, a rental car would certainly be a very good idea. You are always sure to find a taxi to take you directly to any destination in Crete at the main terminal in Heraklion Airport. You can enquire after the price of a taxi ride in advance. The public bus is certainly the most economical way to get from Heraklion Airport to the most important towns and seaside resorts in Crete. Usually, however, you need to get from the airport to the bus station in Heraklion and then change buses. In addition, the public buses are sometimes overcrowded, as such we would rather advise against this option when arriving with luggage. The airport is located approx. 14 km east of the city of Chania on the 'Akrotiri' peninsula. A large number of charter flights and airlines, including budget airlines, fly into Chania, especially in the summer season. When you arrive at Chania Airport, you have several options to reach your holiday destination on Crete. All major tour operators offer a bus transfer from Chania Airport to your hotel in the west of the island if you have booked the holiday package with a transfer accordingly. Please note that your real travel time can take significantly longer, because coaches often stop at many towns and hotel resorts. If you make a reservation directly with one of the Corissia Hotels, you will be offered a cost-effective, private transfer directly from Chania Airport to Georgioupolis (without stopovers). As a rule, there is already a driver at the airport on your arrival and you will be driven to the hotel quickly and without any intermediate stops. The journey to Georgioupolis from Chania Airport takes approx. 40 minutes. At Chania Airport, you have also the option of renting a car and driving to your holiday destination yourself. If you are also planning on exploring Crete during your holiday, a rental car would certainly be a very good idea. You are always sure to find a taxi to take you directly to any destination in Crete at the main terminal in Chania Airport. You can enquire after the price of a taxi ride in advance. The public bus is certainly the most economical way to get from Chania Airport to the most important towns and seaside resorts in Crete. Usually, however, you need to get from the airport to the bus station in Chania and then change buses. In addition, the public buses are sometimes overcrowded, as such we would rather advise against this option when arriving with luggage.